I just read a great article about Lyme Disease. This is very common in this area where live and we see deer in our backyard all the time! I'm dreading the day I have to pull out a tick off my one of my kids. I do it enough in the office... like I said, it is pretty common where we live. Now unfortunately, this article is saying that 2012 will be the worse summer ever in the northeast for Lyme! So I found the article very interesting because the treatment of Lyme has always been a very controversial issue. There are the "Lyme Literate" doctors who will put folks on antibiotics for months and months and even send patients home with IV antibiotics... then there is the "standard of care" where medical societies argue there is no benefit to that type of plan. This article featured treating patients with refractory symptoms as if they have an autoimmune disease (like rheumatoid arthritis) rather than persistent infection. It appears to be promising! How do you get Lyme? What are the symptoms of Lyme? What happens if Lyme is not treated right away? How do you treat Lyme? How do you prevent Lyme? So if you suspect Lyme or discover a tick... go to your doctor. This is a tricky disease to diagnose because the symptoms are so wide and varied and there is not a very good blood test to detect it. Nevertheless, the sooner treatment is started the better chance of a good outcome and full recovery. Please educate your readers about the psychological and cognitive aspects of Lyme. Especially in children these may be the ONLY signs that something is amiss. Your current piece really glosses over the severity of this. I assure you from personal experience that it is very real and completely disabling if it becomes chronic due to lack of early intervention. And "arthritis" is the least of your worries. Thanks for your comment and link. You are right, I wrote this last night mostly in response to the lyme article I read and I meant the 101 section purely as a brief overview. It was not mean to be comprehensive or exhaustive... but I did edit to let the readers know there is definitely many more symptoms that can be present. 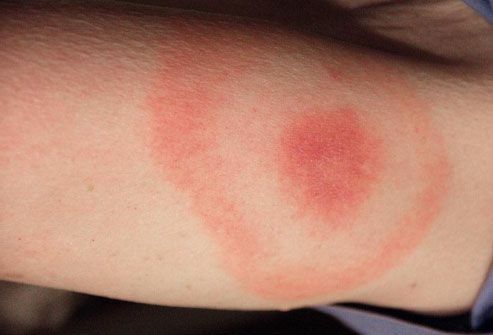 It is complicated and difficult sometimes to differentiate with other diseases especially if the patient or family members do not remember a tick bite or a rash. Plus with the limited method of diagnosis, Lyme remains a challenge to identify early and treat. If suspicion for Lyme is high enough, I will often treat even without blood test confirmation. Thanks for the focus on preventing tick bites! As tricky as this is, and as varied as the symptoms are - I've read in other sources and as a layperson "stew" really does seem a great term! - I'm just hoping to avoid as many ticks as possible. We live in a high-risk area too, so I appreciate the tips on side-tracking ticks altogether. I actually wrote "slew"... but yes... lots of nuances and complications from this so try to avoid if possible! New stroller baby carrier system!